SCVHistory.com | Law Enforcement | Billy Rowland, L.A. County Sheriff 1872-76, 1879-82; Captor of Vasquez. Los Angeles County Sheriff William R. "Billy" Rowland is the man responsible for the capture of notorious outlaw Tiburcio Vasquez — who got a park and a high school named for him. What did Billy Rowland ever get? Well, actually, he got Rowland Heights, and through it, he got rich. His father, John, together with partner William Workman, had been granted the old Rancho La Puente in 1842. In 1868 they subdivided it; John Rowland kept the eastern half and Workman took the west. Billy Rowland didn't personally apprehend Vasquez, but only because Vasquez had spies who would report to el jefe if the sheriff left his office in Los Angeles. By 1874, Rowland had enough of that; every time there was a Vasquez sighting, Rowland would ride out, only to find Vasquez had been tipped off. This time it would be different. This time, Rowland made his presence at HQ known while surreptitiously sending a posse to the bandit lair at Greek George Allen's place in the (now-) Hollywood hills. This photo of Rowland is from considerably later. Elected at age 25, he was the youngest person ever to serve as Los Angeles County sheriff. He was also one of the first Latinos to serve as county sheriff. (Tomas A. Sanchez served 1860-1868). 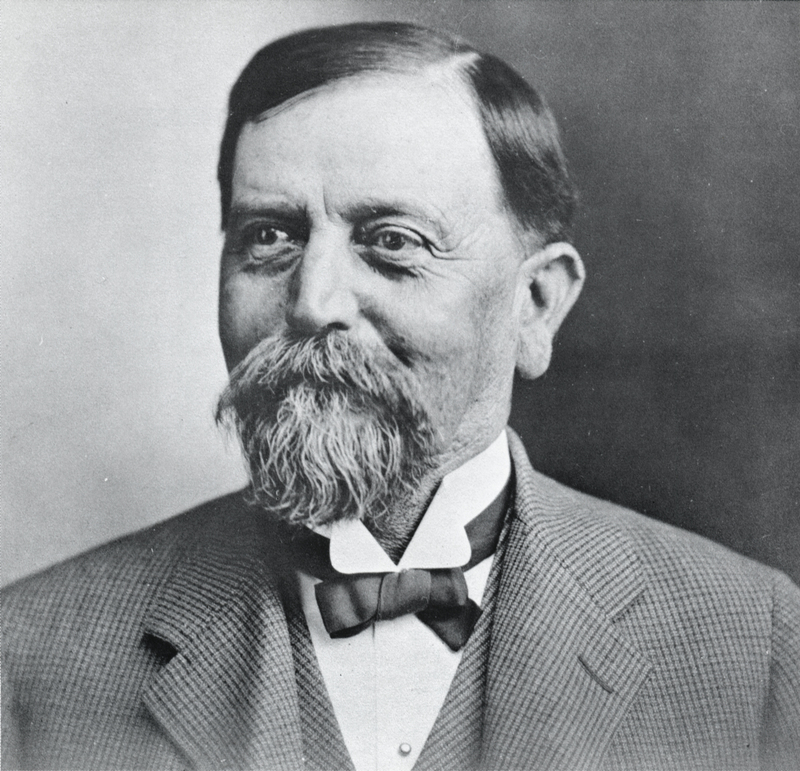 Billy Rowland was born at the rancho on Nov. 11, 1846, to John A. and Incarnación Martinez Rowland. Billy married a woman named Manuela and they had two children. Rowland was reelected in September 1879 and served until 1882, when elections switched from September to November. Billy Rowland died of a heart attack February 4, 1926, at his home in Los Angeles. William Mulholland was one of his pallbearers. LW2737: 19200 dpi jpeg from book page ("City-Makers" by Remi Nadeau, 1965:100).